Directors have called Park Hae-il a “blank sheet,” an actor who absorbs and completely transforms through the roles bestowed upon him. With boyish features and a difficult-to-fathom aura about him, Korean film fans say he possesses a Janus-like charm, similar to the Roman god of duplicity – you can’t quite tell whether he embodies good or evil. Park says he’s familiar with the description. “Director Yim Soon-rye told me I was like a white canvas that could become any color, after filming ‘Waikiki Brothers,’” he said at an interview last Thursday at a cafe in Palpan-dong, Seoul, referring to his first film. Park debuted as a musical actor in 1995, then crossed over to film in 2001. His filmography has been diverse since then. 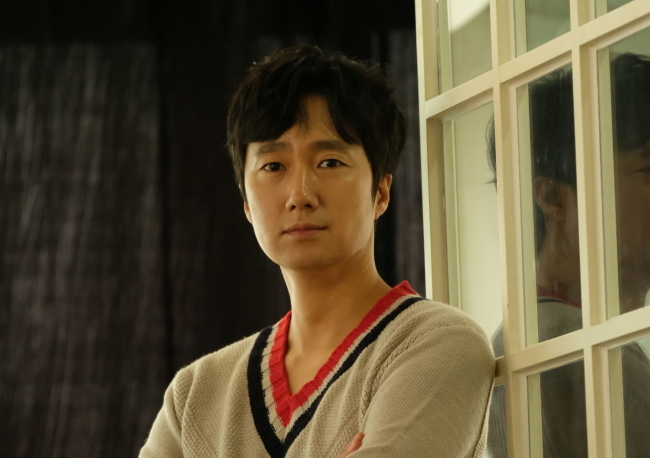 He played an ambiguous murder suspect in Bong Joon-ho’s 2003 mystery drama “Memories of Murder,” and a shameless womanizer in the 2005 romantic comedy “Rules of Dating.” In 2012’s “A Muse,” a 30-something Park played a 70-year-old poet attracted to a high school student. In 2013, Park played a slacker film director who moves back in with his mother. In the historical drama “The Fortress,” which hit local theaters Tuesday, Park takes on the daunting task of portraying Joseon’s King Injo at his most vulnerable. The film is set during the 1636 Chinese invasion of Joseon, when the king is forced to retreat to Namhansanseong, a mountain fortress southeast of Seoul. Trapped there, Injo is faced with a choice between preserving the lives of his people by surrendering, and resisting at the risk of being wiped out by an incomparably forcible army. “He’s a very suspecting and anxious character,” Park said of his rendition of King Injo. The strain is palpable throughout the entirety of the film, and the camera frequently closes in on Park’s nervous face as Injo tries to make the right decision amid a sea of diverging arguments thrown at him by his advisors, and choose between survival and dignity.